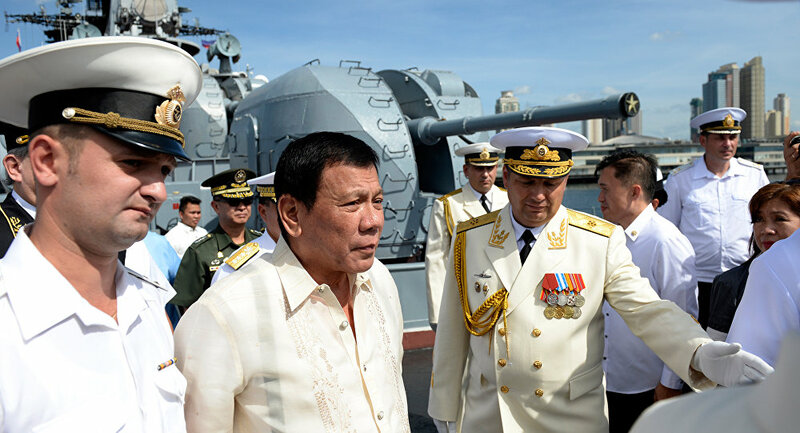 The Philippines is showing interest to purchasing Russian arms, the Russian Foreign Ministry told Sputnik. MOSCOW (Sputnik) — According to Vorobyova, Moscow and Manila are in talks on forming a legal basis needed for the practical establishment of military-technical cooperation. "Cooperation in the defense sector is a prospective course in bilateral relations with the Philippines. It is known that our country is one of the greatest producers of military products. Therefore it is not surprising that the Philippine partners are showing interest in purchases," Director of the ministry's Third Asian Department Lyudmila Vorobyova said. "We are working on this. Specific contracts [on Russian arms deliveries to the Philippines] are the matter for the future," Vorobyova added. The news comes after Philippines President Rodrigo Duterte said last November that the country is ready to buy arms from Russia if there is money amid a rift in relations with the United States. On November 8, Duterte claimed he would cancel an order for 26,000 US-made M16 rifles, originally intended to arm the country’s national police, to "look for a cheaper source." During a visit to Moscow in December 2016, Philippine Foreign Minister Perfecto Yasay told Russian Foreign Minister Sergei Lavrov that Manila intended to build up its defense and security cooperation with Russia.